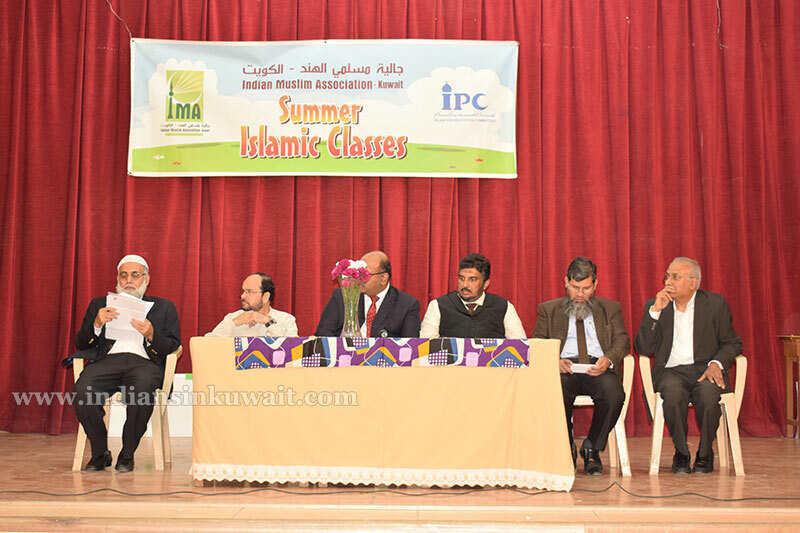 Indian Muslim Association (IMA) in coordination with the Islam Presentation committee of Kuwait conducted a Felicitation function for the Sumer Islamic classes (SIC) 2018 on Friday 16th November 2018 at ICSK, Senior Branch Auditorium, Salmiya. 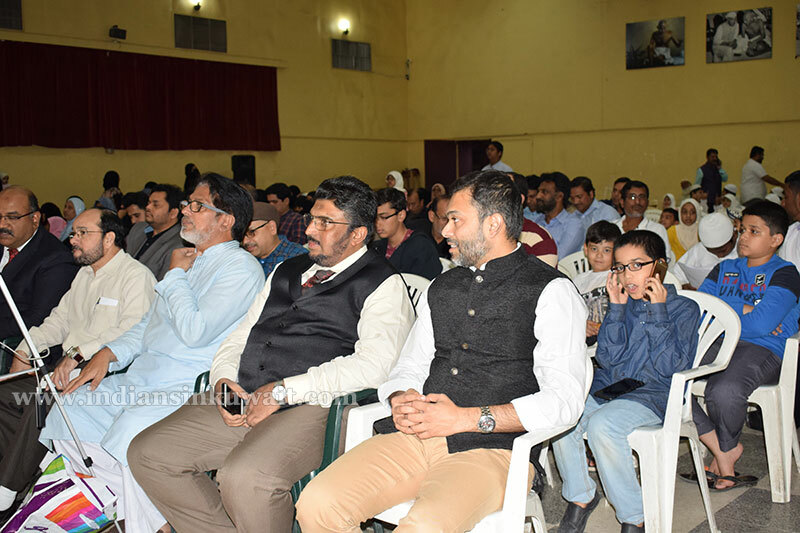 The event received an overwhelming response as the venue was Completely packed with parents and children attending the program. 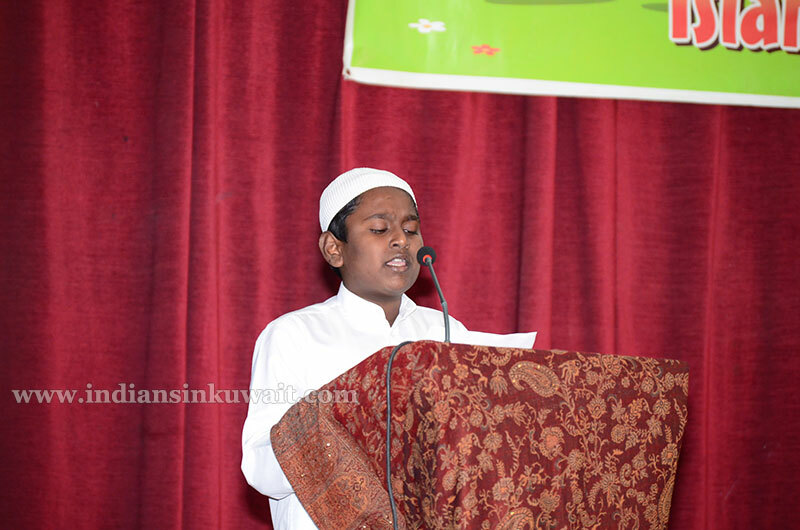 The program commenced with the recitation of Quran by Master Mohammed Ashfaque. 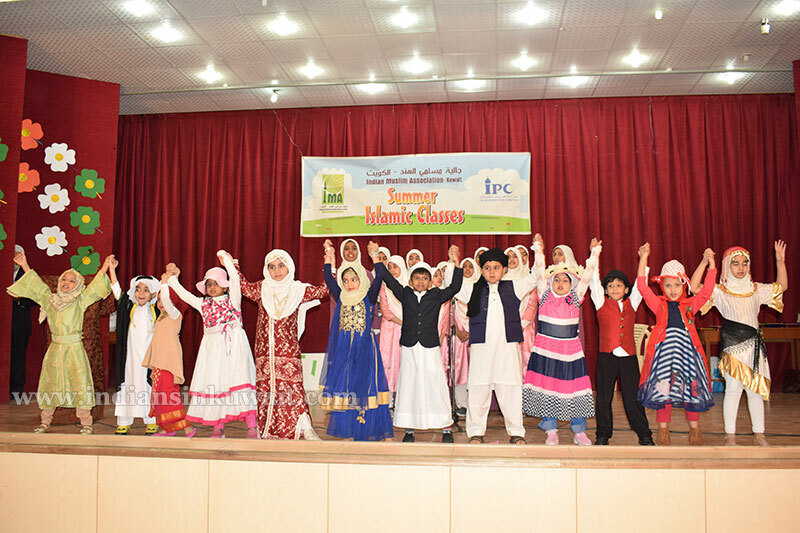 Chairman of ICSK, Abdul Rahman Shaikh graced the function by his presence and encouraging words and assured the audience for his all-out support for the Educational Activities. 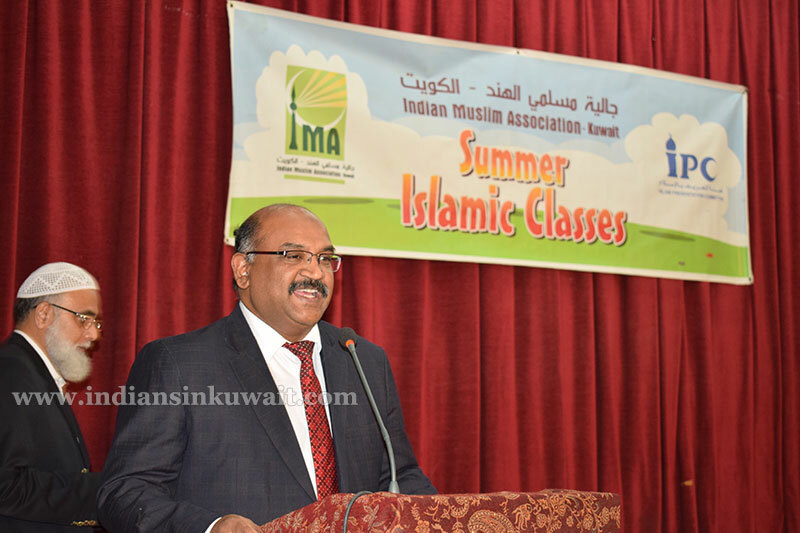 IMA President Masood Shahab spoke over Islamic Education & said it’s values bring change in our children to shape their lives. 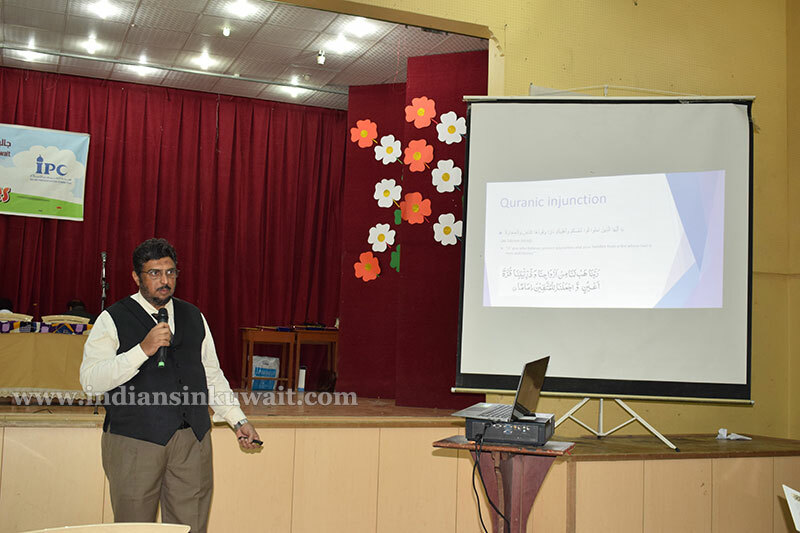 The Vice President of IMA Sharafuddin Soofi gave a presentation on the topic “'Responsible parents and dutiful children' which was very well appreciated by the Audience. 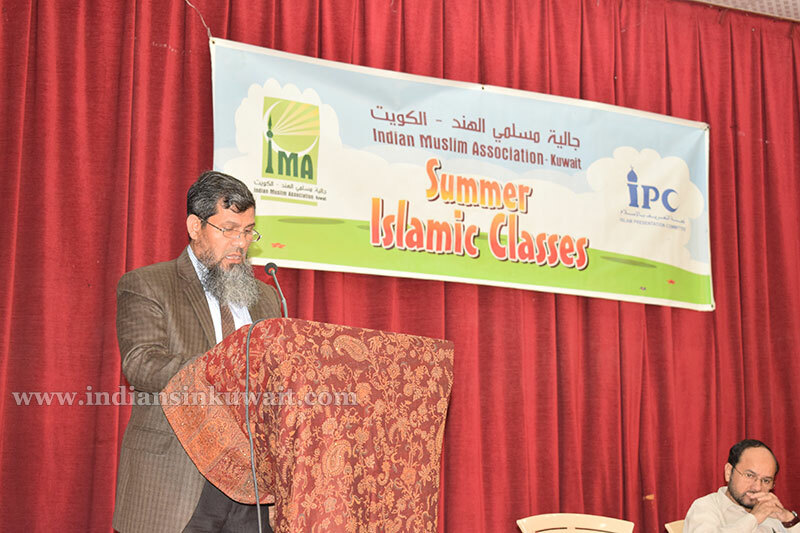 The principal of Summer Islamic classes Shamvil Parvez delivered a speech where he informed on the initiative taken by eminent persons of IMA like former President Khaleelullah Khan who started SIC in 1994 and thereafter the classes are running successfully for 17 years. 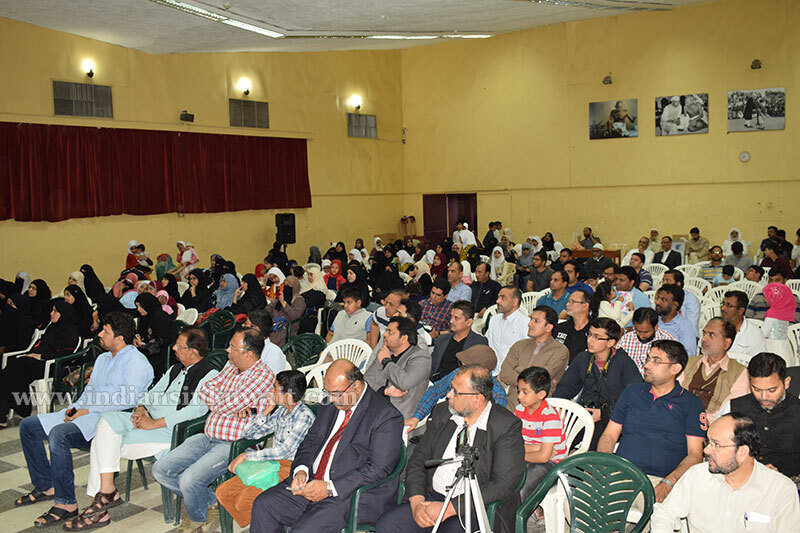 The response was overwhelming with total 210 students attended the classes The students were also taken for field trip to Sheikh Abdullah Al-Salem Cultural Centre. 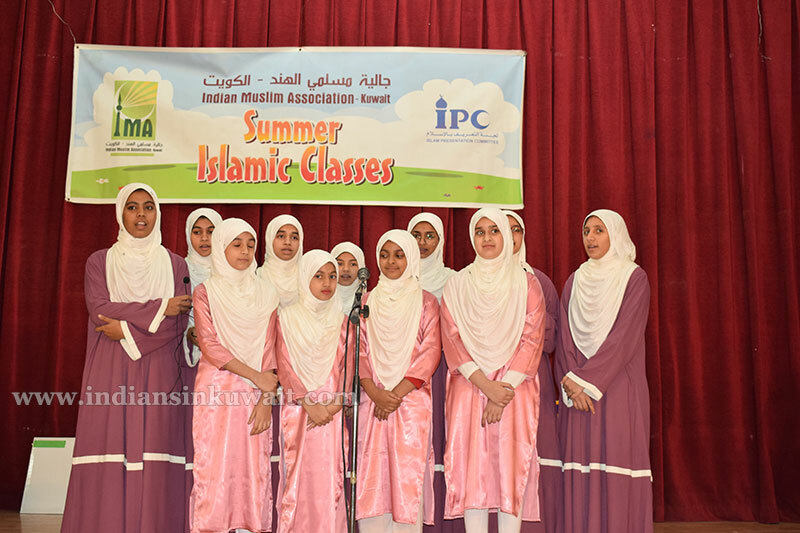 IMA is thankful to ICSK management for providing their school premises for the noble cause. 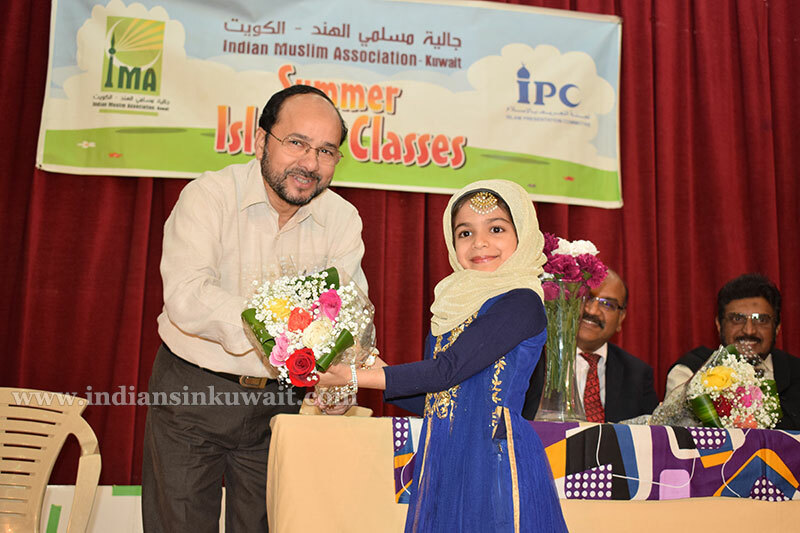 Finally special thanks to IPC, Masjid Al Kabir and Ministry of Awqaf who always grant their support to IMA. 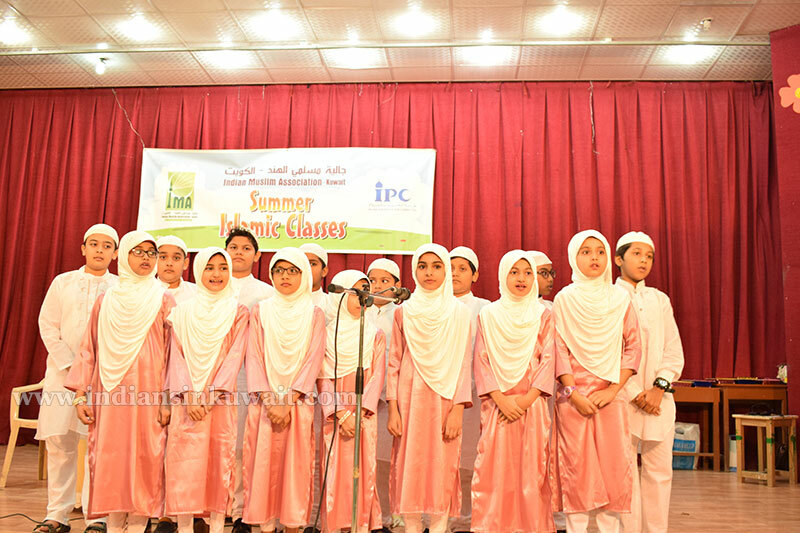 There were excellent Children stage performance namely Islamic songs on models of Islamic heroes thru narration of Ahadees, and Islamic Golden era of scientific inventions by act play. The function concluded with a school tarana from all boys and girls. It was followed by prize distribution and certificates to the successful students. Khazi Zafar pleasantly convened the Program with excerpts from Urdu poetry and Mr. Ishtiaq Shaikh .